Teachers have a long list of supplies they absolutely need for their classrooms: poster boards, markers, textbooks, pencils and now — if President Donald Trump has his way — guns. With recent debates over the best way to approach mass shootings, some Americans believe the best way to protect against those who target schools is to arm the teachers within them. Notably, Trump came out in support of the idea in the aftermath of last month’s mass shooting at Marjory Stoneman Douglas High School in Parkland, Florida, even proposing giving bonuses to teachers who carry weapons. And in an interview on “60 Minutes” last weekend, Secretary of Education Betsy DeVos agreed that arming educators would be a good way forward. “For those who are — who are capable, this is one solution,” DeVos said. Despite the apparent consensus within the Trump administration, the notion that teachers should carry weapons to shoot intruders is a step in the wrong direction. With talk of promising improvements in America’s approach to gun legislation and mental health treatment, it’s ludicrous to turn around and tell those who are supposed to be cultivating the next generation that it’s also their responsibility to prevent gun violence. The proposal is a distraction from working toward real changes to gun policy, and its effectiveness is questionable. Expanding the right to carry a gun creates little significant change, positive or negative, when it comes to shootings. A 2002 study from researchers at Florida State University, the University of Alabama at Birmingham and the College of William and Mary examined right-to-carry laws over a more than 20-year span. They found that both laws limiting and laws expanding right to carry have almost no impact on the number of public mass shootings in the jurisdictions that enact them. This certainly doesn’t bode well for the effectiveness of armed teachers against future instances of shooting violence. And with teachers likely not carrying their guns directly on their bodies, but locked away so as not to be a safety hazard, it’s hard to know whether or not having access to a gun would be helpful in a school shooting situation. There’s no way to guarantee a teacher would have time to access the hidden location of the gun, unlock whatever container it is stored in and load the gun with ammunition. That time would be better spent helping students to escape, if possible. The only way a gun might be useful in a school shooting situation would be if it were easily accessible. But allowing teachers immediate access to weapons creates a major safety risk, with students potentially able to access a teacher’s gun. And teachers themselves might even pose a risk to school safety. A teacher at a high school in Seaside, California, inadvertently injured a student Tuesday when he accidentally fired a weapon during a demonstration. In Georgia, a high school history teacher fired a gun after barricading himself in his classroom earlier this month. So far, arming educators has a poor track record, to say the least. As it’s still unclear exactly what benefits might come from giving each teacher a gun, it remains irresponsible to spend money training and arming teachers instead of using it to improve classrooms themselves — many of which are horrifically underfunded. At a meeting with National Rifle Association leadership last month, Trump promised he would devote federal funding to training teachers to handle firearms. And while he hasn’t discussed any specific numbers, it’s likely the expenses from such a program would be a huge monetary commitment. We shouldn’t be using public funds to buy guns for teachers at a time when they have to use their own paychecks to buy school supplies. This should be common sense. If we really want to create a better tomorrow, we should turn our resources toward more effectively educating the youth rather than arming our teachers. Americans as a whole seem to recognize how poor a choice arming teachers would be. 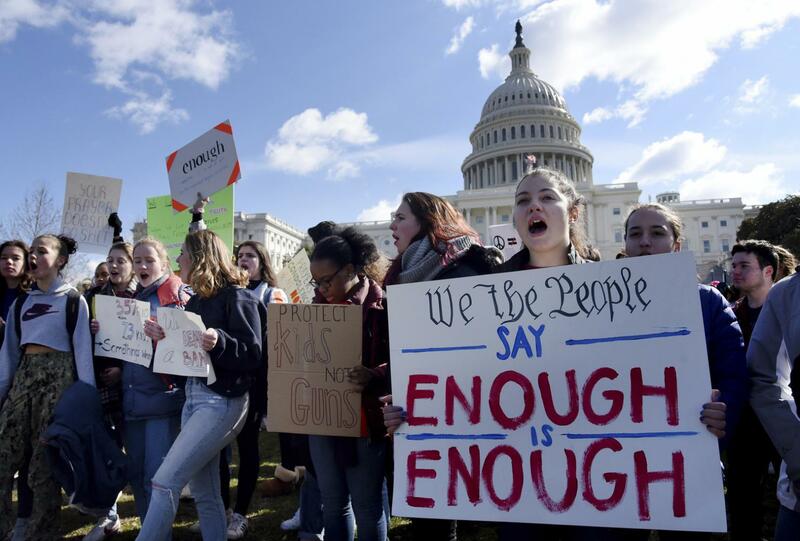 A poll conducted by Quinnipiac University earlier this month found the majority of American voters oppose permitting teachers and school officials to carry guns on school property. For many, that role would be better served by armed security guards whose sole role is to defend students and faculty against aggression. In the same Quinnipiac poll, 82 percent of voters supported having armed security officers in schools. Of course, in the aftermath of February’s massacre, concerns have arisen over the apparent inability of Parkland’s security guards to prevent the deaths of 17 people in the school. One guard standing outside at the time of the attack claimed he heard the shots — but didn’t go inside because he thought they were coming from outside the building. This guard’s experience shows that a mass shooting will always be shocking and difficult — there’s no way to predict how school staff will react under the circumstances. School resource officers are trained professionals, but they still have the capacity to make bad calls regarding others’ safety. If a professional specifically trained for these situations will still make mistakes, it’s even more likely a teacher would make devastating mistakes as well. Teachers should love their students. And in an emergency, many will do everything possible to protect them from harm. But carrying firearms at school simply isn’t in the job description. Alexis primarily writes about local issues and student life for The Pitt News. Write to Alexis at alb413@pitt.edu.